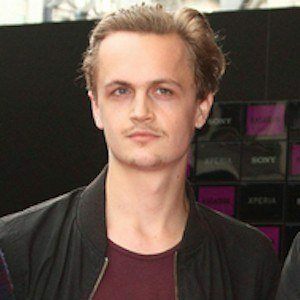 Guitarist in the four piece band Amber Run which rose rapidly to fame in 2014 following the release of their EPs Noah, Spark, and Pilot. The band also released their debut album 5am, which peaked at #36 on the UK charts. He and his friends Tom Sperring and Joe Keogh met while attending Dr Challoners Grammar School in Buckinghamshire. It was there they first began playing together as a band. In early 2014, Amber Run supported Kodaline on their UK tour. Like several of his bandmates, he is a native of Buckinghamshire. He is joined by keyboardist Ken Wyeth in Amber Run.